Our Lounges are very similar to the ones made by NexNeuro. We are the ones that did the music for NexNeuro from the beginning. A sound lounge/table works with a CD player or other sound source (computer, iphone, mp3 players). Sound is split between headphones (or in-room speakers), and the speakers in the lounge/table. 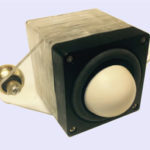 Volume of both auditory and vibratory outputs can be adjusted to the comfort level of the recipient. You will need a stereo system or headphones to play back the high frequencies of the music in the room. Contact us and we can explain in detail how it is hooked up with your current system. We provide detailed tech support for getting it hooked up. We also sell complete stereo systems and headphones below. Sound Lounge – Combination Sound Chair, Sound Table and Mat. 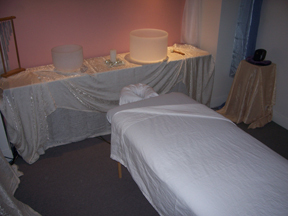 The Sound Lounge is profoundly effective for a wide range of issues (besides just relaxation). It is being used by some of our customers with Veterans from the VA and has changed their lives completely. It has been extremely effective for muscular pain, fibromyalgia, neurological issues, and Parkinson’s. It has also been really helpful for anxiety. If you have anything going on emotionally it will be gone within 10 minutes. And with David’s music it just feels incredible. Made with a top of layer of memory foam – The cushiest sound mat ever (seriously). The memory foam creates a full body print for optimum comfort and wraps around your body so you get maximum contact and transmission of the vibrations into the body. When you simply just lay down, even before it is turned on, people just sigh… it is so comfy. And with the memory foam it wraps around your body so better so you get maximum contact with the vibrations. All speakers mounted based on Golden Mean ratios. Your body instantly recognizes these Sacred Geometry patterns found in nature and throughout your own body. • Lounge Mat (with Transducers mounted inside). You can actually lay the mat on the floor or a massage table or even your bed. • Cot – You can have it lay down flat so you could even lay on your stomach. Or, you can tilt up one side so it becomes a lounge. • Amp – Plenty of power to rock your boat. 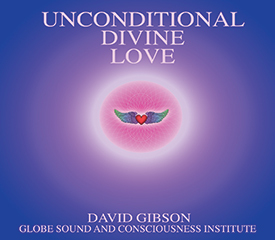 • 4 CDs – CDs by David Gibson that are unbelievably effective, beautiful and heart opening. Pro Sound Lounge with Medical Grade Neoprene. Combination Sound Chair, Sound Table and Mat. • Medical Grade Neoprene that can be easily wiped down after a session. – 12 Music CD’s specifiically designed for the Lounge with maximum bass. CLICK HERE to see the full list. 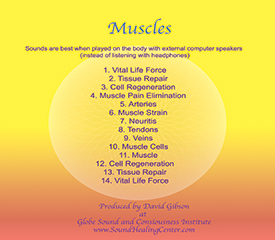 – 12 Cymatic Frequency CDs – For issues ranging from Muscles to Endocrine Glands. CLICK HERE to see the full list. • Professional Headphones (see below for description). Ideal headphones for David’s music and the lounge combination. 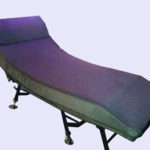 4″ vibration sensitive foam mattress for use on your massage table, the floor or on your bed. • May be layed flat so you can lay flat on your stomach. • Made with a top of layer of memory foam – The cushiest sound mat ever (seriously). The memory foam creates a full body print for optimum comfort and wraps around your body so you get maximum contact and transmission of the vibrations into the body. Made with a top of layer of memory foam – Cushie but firm also. The memory foam creates a full body print for optimum comfort and wraps around your body so you get maximum contact and transmission of the vibrations into the body. 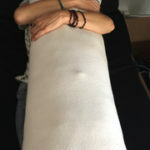 Transducers in the pillow vibrate you into bliss… and you get to hug it also. 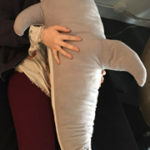 Use the pillow as a standalone vibrational tool, or with a sound table/lounge so you are sandwiched with vibration between the sound table/lounge and dolphin. Comes with an amplifier and 4 CDs. The vibration in the pillow is extremely powerful. Transducers in the dolphin vibrate you into bliss… and you get to hug it also. Use the dolphin as a standalone vibrational tool, or with a sound table/lounge so you are sandwiched with vibration between the sound table/lounge and dolphin. Comes with an amplifier and 4 CDs. 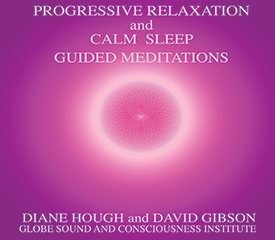 The vibration in the dolphin is not as strong the pillow, but it puts out more high frequencies than the pillow, which is ideal for use with the Cymatic Frequency CDs. The applicator is held in the hands so you can apply healing sounds and music to specific organs and parts of the body. You can also strap the applicator to any specific part of the body so you don’t have to hold it. 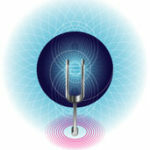 It is ideal for applying the frequencies in the Cymatics CD’s. It has a huge amount of bass for a small speaker. It comes with an amplifier and 4 Cymatic Frequency CDs. This is one of the most effective devices for pain management. It is also effective for muscles, nerves, tendons, ligaments, arthritis, bones, circulatory system, respiratory system, asthma, and depression. 2 full range Subwoofers encased in a durable/comfortable wearable belt. The Speakers are adjustable in order to focus the sound on specific organs, vertebrae, chakras, or acupuncture points. 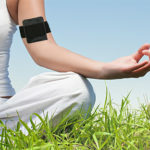 The strap may be worn so the speakers are on the front or back of the body or wrapped around any other part of the body. -2 Speakers (Subwoofers) mounted on a strap. -4 Cymatic Frequency CD’s calibrated for the strap. CLICK HERE to see CD options. – 12 Music CD's specifiically designed for the Lounge with maximum bass. CLICK HERE to see the full list. – 12 Cymatic Frequency CDs – For issues ranging from Muscles to Endocrine Glands. CLICK HERE to see full list. This is one of the most effective devices for pain management. However it is also effective for muscles, nerves, tendons, ligaments, arthritis, bones, circulatory system, respiratory system, asthma, and depression. 3 full range Subwoofers encased in a durable/comfortable wearable belt. The Speakers are adjustable in order to focus the sound on specific organs, vertebrae, chakras, or acupuncture points. The belt may be worn so the speakers are on the front or back of the body or wrapped around any other part of the body. It is also incredibly effective on the bottom of the feet (the bottom of the feet have been shown to be one of the best places to get sound into the whole body). -3 Speakers (Subwoofers) mounted on a belt. -4 Cymatic Frequency CD’s calibrated for the belt. 6 full range Subwoofers encased in a durable/comfortable wearable belt. The Speakers are adjustable in order to focus the sound on specific organs, vertebrae, chakras, or acupuncture points. The belt may be worn so the speakers are on the front or back of the body or wrapped around any other part of the body. It is also incredibly effective on the bottom of the feet (the bottom of the feet have been shown to be one of the best places to get sound into the whole body). -6 Speakers (Subwoofers) mounted on a belt. 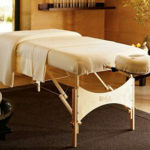 • The speakers on the bottom of the massage tables are quite thin so the table will still fold up with the speakers inside for easy transportation. It is also just a huge amount of physical, mental, emotional and Spiritual fun when you play music through it (depending on the music you play through it). 9 full range Subwoofers encased in a durable/comfortable wearable vest. The Speakers are adjustable in order to focus the sound on specific organs, vertebrae, chakras, or acupuncture points. The vests may be worn so the speakers are on the front or back of the body or both. – 9 Speakers (Subwoofers) on the vest. – 4 Cymatic Frequency CD’s calibrated for the vest. CLICK HERE to see CD options.